The map, known as the January Map, was agreed upon in a 4-0-1 vote by the board in a closed session meeting on February 28, with board member Mister Phillips abstaining.The map was designed through negotiations between the district and Ruiz-Lozito. Both sides considered prior public feedback, represented in the map chosen in November. The January Map was approved by a Contra Costa County Superior judge on Wednesday, and further details of the settlement were presented at a board meeting later in the day. After a West Contra Costa Unified School District school board race free of negative ads through the end of October, a new late-game attack ad was sent out against candidate Mister Phillips. Mister Phillips, who lost Tuesday in his bid to unseat County Supervisor John Gioia, knows for sure where he’ll be this weekend: His wedding. 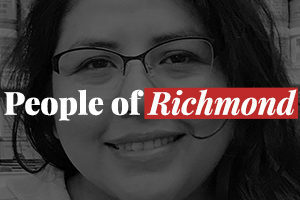 Beyond that, it’s harder to say for the Richmond’s newest rising politico. A brief rundown of the countywide races up for grabs in Tuesday’s primary election.